Although “forward head posture” (FHP) has long been regarded as a problem leading to pain and disability, with increased time spent on smartphones in recent years, it is becoming a very common source of pain. In a study performed by Kim et. al. 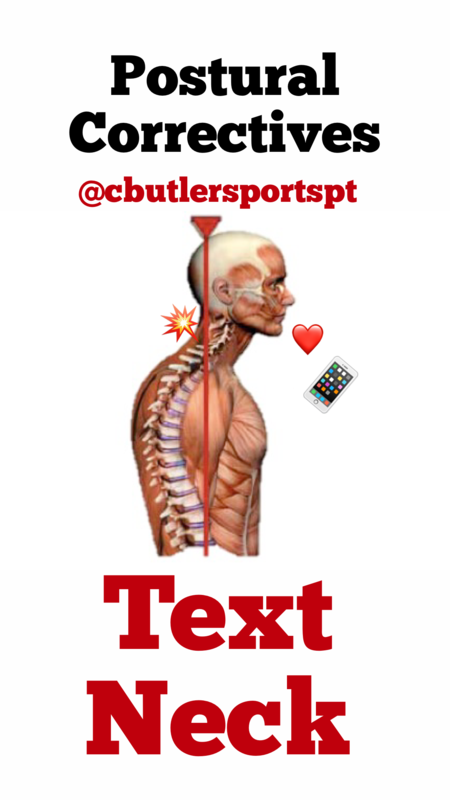 which studied the effect of duration of smartphone use on muscle fatigue and pain caused by forward head posture in adults using EMG analysis, it was found that prolonged smartphone use resulted in increased upper trapezius and cervical erector spinae fatigue. Stiffness of the pecs, upper trapezius, levator scapulae, SCM and suboccipitals. Together, these impairments can lead to dysfunctions at the OA joint, C4/C5 segment, CT junction, or GH joint resulting in neck and/or shoulder pain and increased disability. Below is a 3 part video series to help you gain mobility and build postural strength to combat our love affair with cell phones and laptops. Kim E-K, Kim JS. Correlation between rounded shoulder posture, neck disability indices, and degree of forward head posture. Journal of Physical Therapy Science. 2016;28(10):2929-2932. doi:10.1589/jpts.28.2929. Kim S-Y, Koo S-J. Effect of duration of smartphone use on muscle fatigue and pain caused by forward head posture in adults. Journal of Physical Therapy Science. 2016;28(6):1669-1672. doi:10.1589/jpts.28.1669. Kwon JW, Son SM, Lee NK. Changes in upper-extremity muscle activities due to head position in subjects with a forward head posture and rounded shoulders. Journal of Physical Therapy Science. 2015;27(6):1739-1742. doi:10.1589/jpts.27.1739. Upper Crossed Syndrome. Muscle Imbalance Syndromes RSS. http://www.muscleimbalancesyndromes.com/janda-syndromes/upper-crossed-syndrome/. Accessed June 13, 2017.